Hawkeye travels to Monster Island to train the Avengers' newest recruit: Ant-Man! But the island holds a terrifying secret: the Red Skull's base! The Reality Stone flips the world on its head, and heroes become villains! How will the Dark Avengers fare against Earth's NEW mightiest heroes: the Squadron Supreme? Thanos is coming for the Infinity Gems, and time is running out! Black Widow has a plan to save the universe, but it'll take all of the Avengers to pull it off! It's explosive action from your favorite heroes, based on the hit animated series now airing on Disney XD! 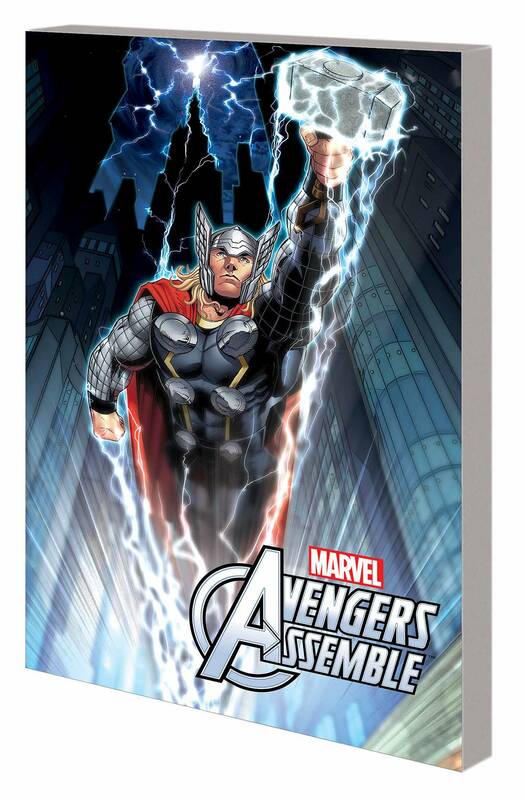 Collecting MARVEL UNIVERSE AVENGERS ASSEMBLE SEASON TWO #9-12.